A distinctive scene throughout Recife and Olinda is the numerous rendered brick walls. In the tropical conditions these surfaces quickly build-up dirt, mould as well as graffiti calling for frequent maintenance. 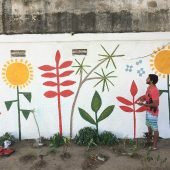 The Muralstudio workshops explore how unmaintained walls in public spaces can be utilised as open-air canvases and a platform for design education in return offering a means for their improvement and upkeep. 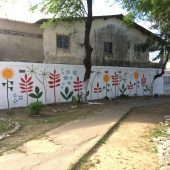 The creation of a mural is guided by a series of consensus-driven considerations similar to any ‘design-build’ project in design or architecture addressing contextual, social, graphical, cost and logistical concerns. 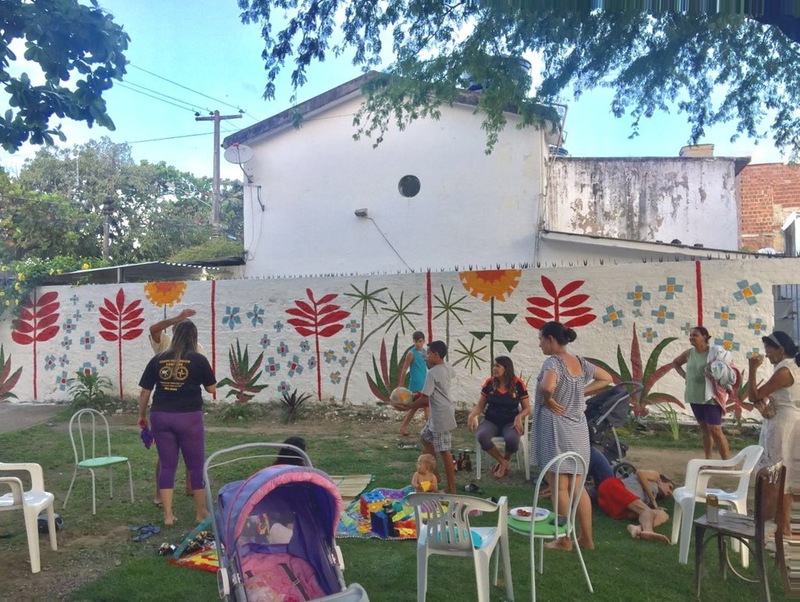 A weekend mural project was carried out in a neighbourhood square in the suburb of Jardim Brasil 1 to complement a renewed interest in revitalising a space that receives limited local government maintenance and is prone to dumping, grazing and becoming overgrown. Locals had recently taken actions to plant along the walls, establish a patch of grass and clear away dumped materials. 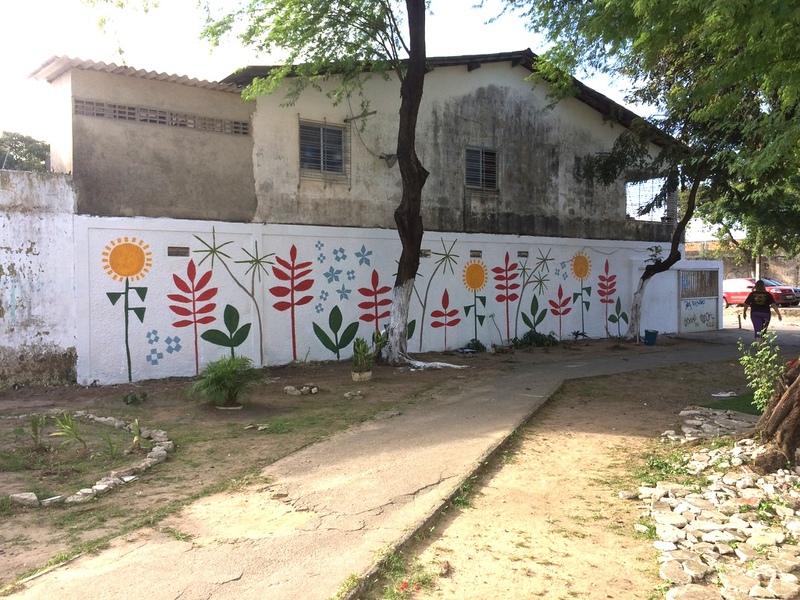 The design parameters for the mural were to; leave minimal blank spaces to discourage graffiti, be painted within 6 hours by a team of non-artists and involve a simple visual style that could be repeated and contributed to over time. 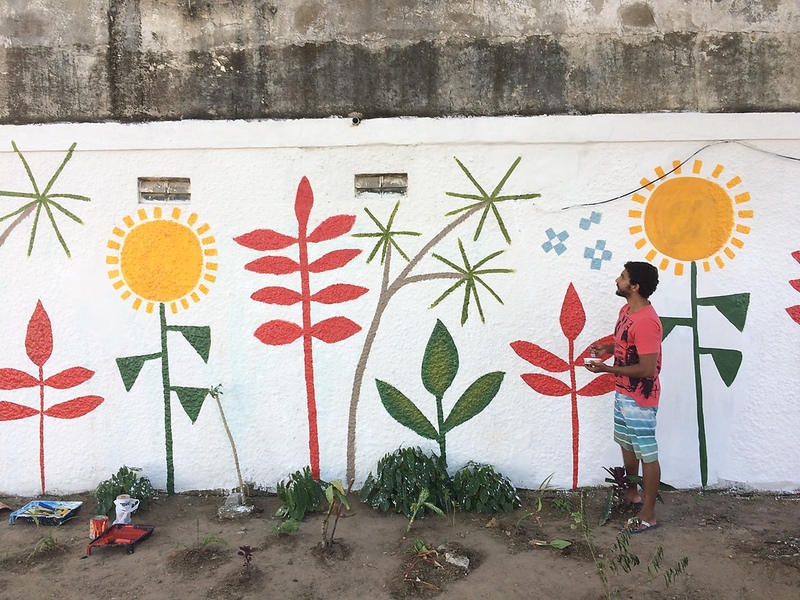 After applying a lime wash to the walls, the design response was to paint simplified plant-forms that bring attention to the diversity of colours and forms of plants that exist in the area. 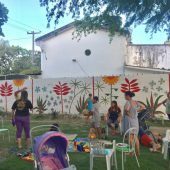 Research Question: How can murals be efficiently created by non-artists to produce maximum impact on public spaces and a meaningful learning experience for participants involved?